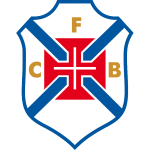 The club of Mika, CF Os Belenenses, presently holds seventh position in Primeira Liga (Portugal). Mika is two years older than his team's average age, as he was born on 08.03.1991. The Portuguese goalkeeper Mika joined his current team, CF Os Belenenses (Portugal), in July 2018. With a height of 1.95m, he exceeds CF Os Belenenses's mean tallness by 13. 34% of CF Os Belenenses's football players are left footers and so is Mika. So far in the 2018/2019 season, he only competed in one fixture. He plays with the jersey number 39. At 198.41lb, Mika carries 31lb more than the average CF Os Belenenses player. 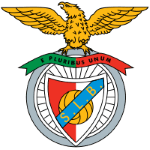 His longest stay in a team counts two years and 6 months in Benfica Lisbon (Portugal). In his footballer career, a total of nine cards were ascribed to Mika. While thus obtaining an average of 0.75 cards per term, he has not even gotten any yet, for now. His squad concluded in a tie in 50% (40% home) in Primeira Liga. 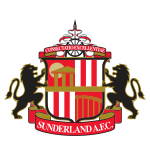 Therefore they have not won a single match recently but at least managed to end in a draw 4 times. In terms of top seasons, the Segunda Liga 12/13 (Portugal) was his best one yet, breaking one personal record in terms of appearances. Then again,he had a lot of trouble with penalties. 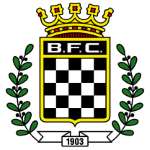 Before joining CF Os Belenenses, Mika was engaged in the squads of Atletico CP, Benfica Lisbon B, Sunderland AFC, Boavista FC, Uniao de Leiria and Benfica Lisbon. From his professional start until now, he has performed in 120 matches in total and hindermost appeared 150 days ago. On average, he has participated in 10 matches per season. His shortest stay in a club was three months in Uniao de Leiria (Portugal). CF Os Belenenses has two more goalkeepers in their squad, namely Guilherme and Muriel.